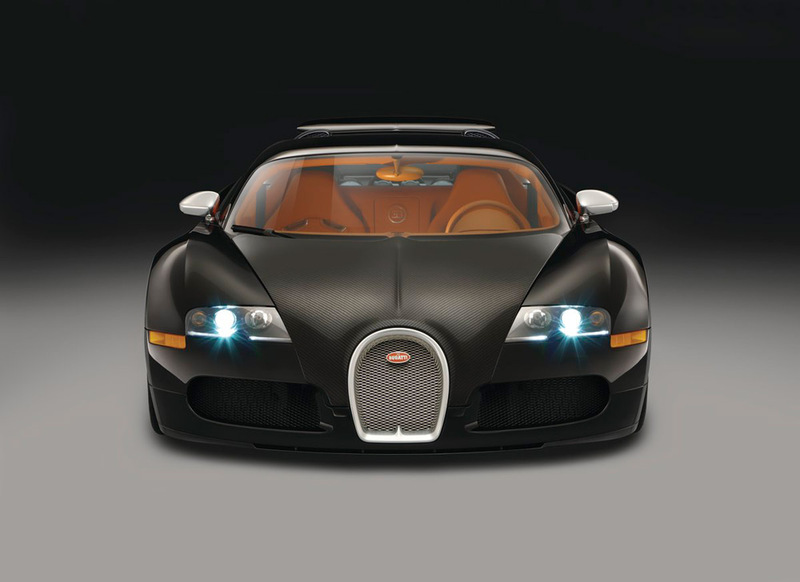 The Bugatti Veyron is a perfectly balanced combination of high-powered performance and sleek, racy design. 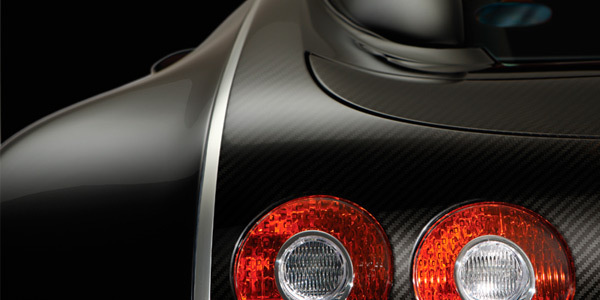 Even standing still, the Veyron's power is visible by its impressive mid-engine, elevated beneath the chassis. While at the same time, the Veyron’s bold proportions, well-balanced surfaces, and clear line structures gives you an impression of pure, sleek elegance. 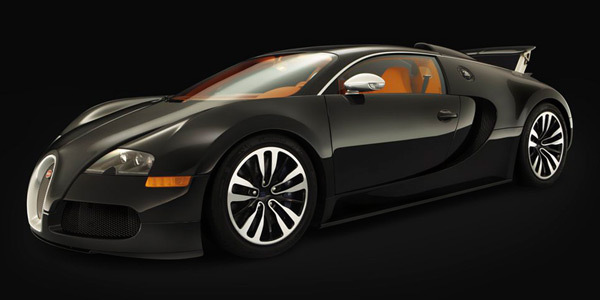 Every detail of the classic two-tone color scheme has been carefully thought out, resulting in the Bugatti profile you've come to know and love. 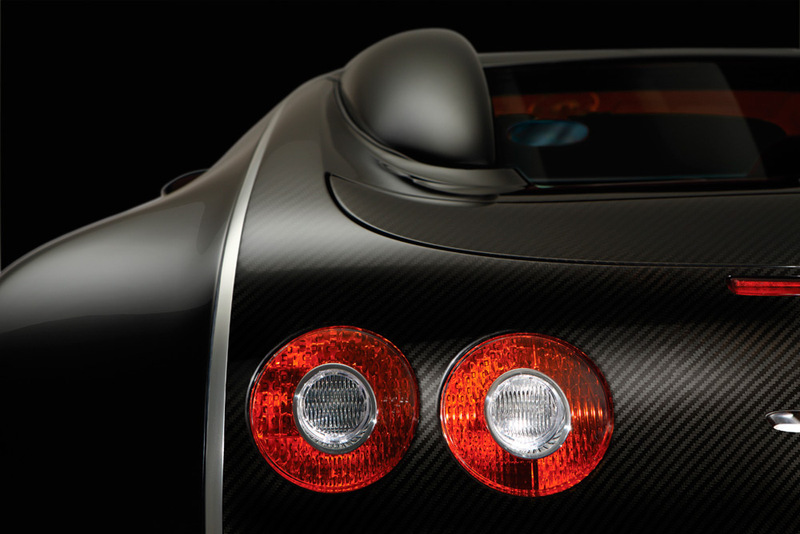 The "crest line", which runs uninterrupted from the hood to the only 1.21-m-high roof, is a proud homage to the Veyron’s predecessors. 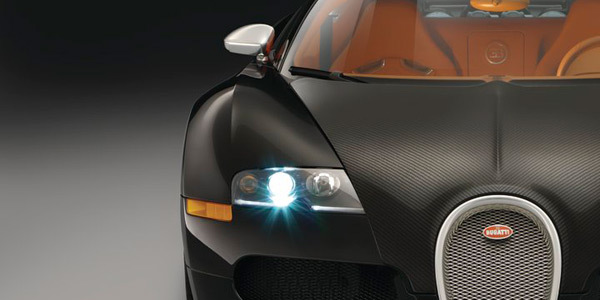 Its classic look, the large radiator grill – adorned with the hand-enameled Bugatti emblem – represents the grandness of the Veyron, and its distinctive front is defined by the harmonious contrast of its broad headlights and majestic grill. The rear end, 1.99 m wide, features the formidable retractable spoiler and generously designed fenders. 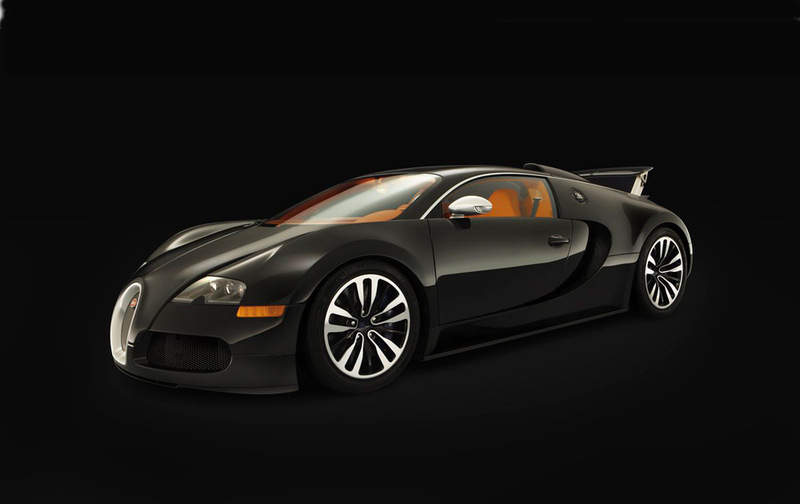 The Veyron perfectly fulfills the main design objective governing the development of the new Bugatti: an uncompromising combination of highest elegance and state-of-the-art technology.